Receive All Daily Updates By Sms Send "FOLLOW DAMYTECHS" to 40404 Now!!! This recently released Tecno device "Camon I Twin" bags a 3gb RAM, 32gb internal memory. 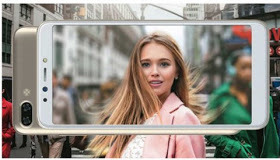 Its rear(back) camera which is 13.0MP, and accompanied by a front(selfie) dual camera of 13MP + 2MP, both cameras has a LED flash attached. 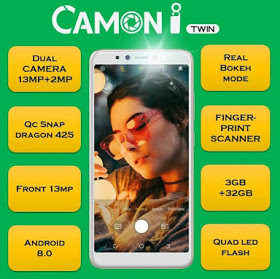 Above all Camon I Twin launched with the latest operating system Oreo 8.1. Price: Rs. 11,499 in India / $166 USD / NGN 60,000. 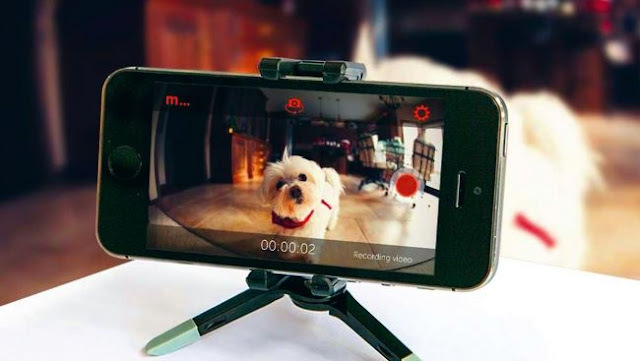 What do you have to say about this device. Leave a comment below and share this post. Thanks!.